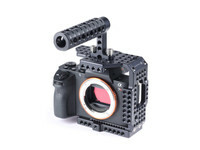 rock-solid accessories mounting with 114 threads 1/4" and 4 threads 3/8"
The new BirdCage PRO is an innovative professional cage designed to fit like a glove around the latest mirrorless Sony A7RII and A7SII cameras featuring the exclusive LockCircle. 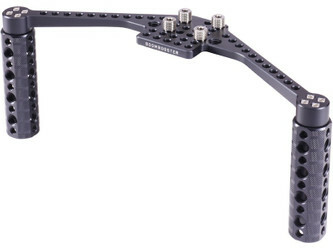 The BirdCage PRO has the classic LockCircle Twin Baseplate System based on a Ultra-Thin Baseplate and a T-Riser Baseplate, designed to fit several low-mode mounting solutions like drones, gimbals, skaters, camera-car mount. 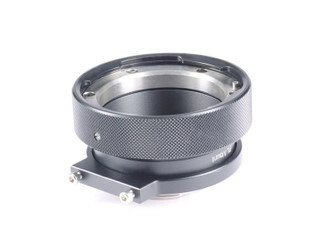 The BirdCage PRO integrates the new LockPort Flex, and a system of mounting plates and Positive-Lock Mounts for universal cine-style lens mounting offering precise professional follow-focus work. 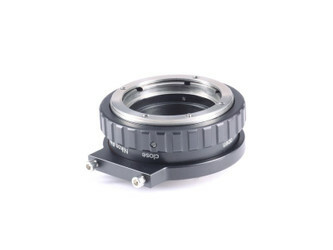 The BirdCage PRO baseplate has a mounting “receiver”for the Meta Block (adjustable), designed for a Metabones “state of the art” mounting/locking, and a IMS-Block for high grade professional Positive-Lock Mounts (PL, Canon EF, Nikon F, Panavision, Leica and M). 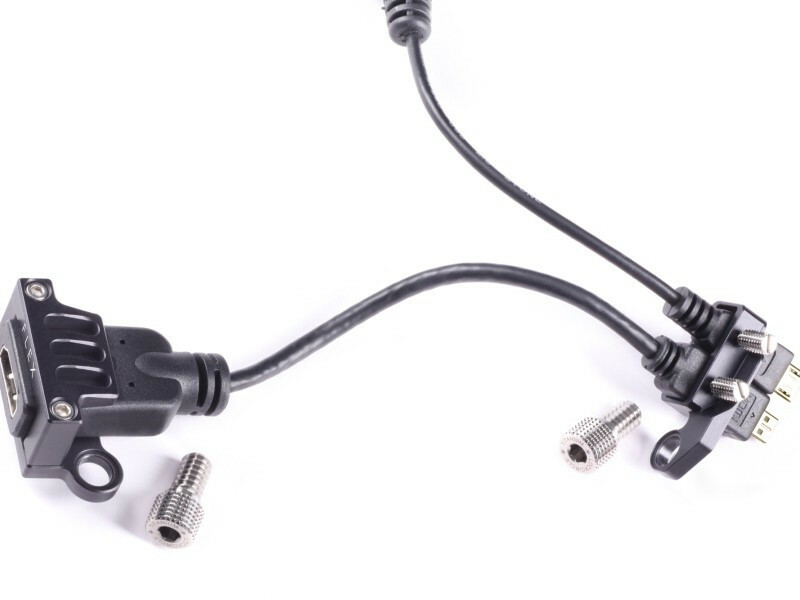 The baseplate has two camera mounting threads (1/4“ and 3/8” with 1/4“ adapter) for heavy-duty safety mounting. 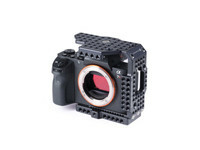 IMS 2.0 Professional F Mount for cameras with Sony e-mount incl. 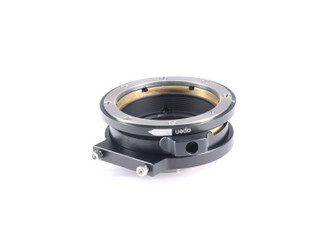 Lock-Mount for support on Birdcage/FS-7/etc.